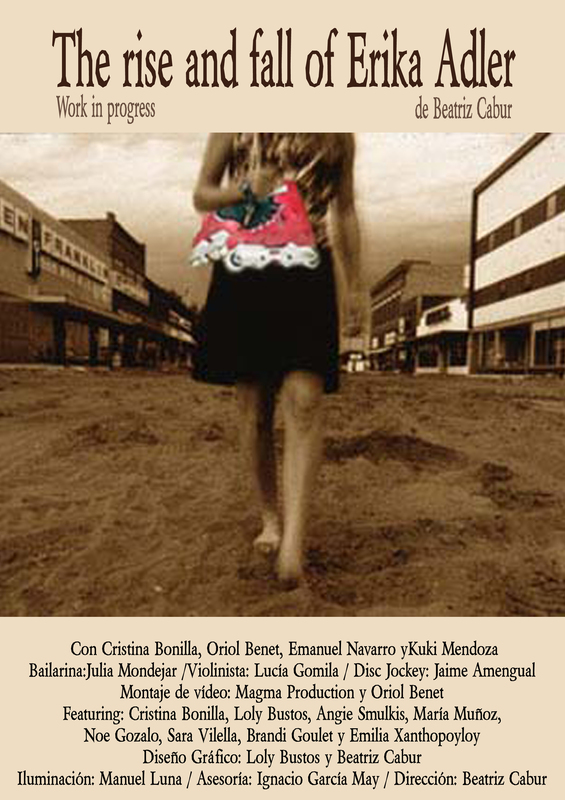 Written for the “Es Generador Festival, 2006” in Mallorca. “The Rise and Fall of Erika Adler” premièred as a part of the opening acts of the festival. It’s a documentary theatre piece. The creation of a fictional character around real historical events and real characters creates the illusion of reality. Erika Adler was accepted as part of the history. Staging this mockumentary was a game of genres, also directed by Beatriz Cabur, “The Rise and Fall of Erika Adler” casted a violinist, a dj, a skater, a ballet dancer, 3 actors and a narrator. The final assembly was very nice.